The Halo fiction can be a web information. Spanning six games, more than a dozen novels and comic books, an Animatrix-esque collection of short films and incorporating nods to other Bungie-developed franchises Marathon, Myth and Oni, keeping it all straight can be tough. 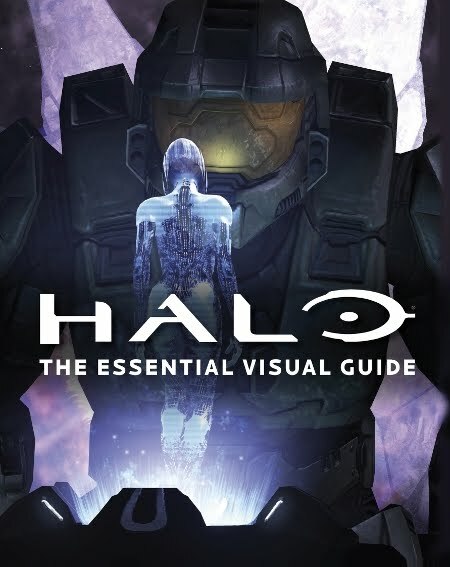 The Halo: The Essential Visual Reference Guide has organized the content found in the games into a companion piece to their earlier-released Halo Encyclopedia. There are 204 entries from A-Z with a diverse spread. Here you’ll find characters, species, vehicles, planets, equipment, weapons, facilities, multiplayer maps and armor sets. The breath of content is impressive. You’ll get info on everything from Halo icons such as Guilty Spark to the background politics of the High Council to the more esoteric minutiae of the manufacturer of the Covenant Carbine. While the cover says Halo, this book is about the franchise that appears in the games, not its expanded universe. Here’s the rule: if it had a rendered model in any of the games, it’s in this book. While that isn’t by itself worthy of crying foul, it almost guarantees that the content between the front and back cover feels disjointed within itself. For example, there’s an entry for the ONI ALPHA SITE facility that appeared in ODST but nothing for ONI the organization information that is important to the overall fiction. But this is the ‘Essential Visual Guide’. The Forerunners have never appeared in a Halo game, so they’re not here. Really the only entries I can think of that aren’t here are for Didact, the Librarian or Mendicant Bias, all of which not only had written dialogue but was accompanied by tiny avatars that could have been represented here. But the entries that are only get a single page total for its summary. While it’s a sensible choice of format for a reference guide, a page is too much room to devote to the Recon Armor and too little for Cortana. The information is straightforward and covers the topics fundamental points. Every content page follows the same basic format; you get stats, list of game appearances and a brief summary of its history framing an enlarged model of its topic. The images are clean and well-detailed and have a nice finish on the high-quality paper inside. The models are all posed well with points of interest highlighted. The only real problem with the images applies to the resolution on the graphics that had to be enlarged to fill the page format. The small sizes on items such as grenades, the Submachine gun (which looks like it was taken from Halo 2 rather than 3 or ODST) and in-game models for Halo Wars look lo-res with smoothed out texture maps. In the end, any Halo fan that spends even a minute considering this purchase should probably just pick it up. For anyone else, keep in mind you won’t learn about much of the fiction that happened outside of the Halo games. If thats what you’re looking for, get the Halo Encyclopedia instead. The book retails for $16.99 and, of course, is cheaper on Amazon.